This book was designed as the ultimate tool for motivation—personal growth and eventual to surpass the current level of time awareness you have right now, but it takes a different approach from other books of this sort that require substantial conscious effort. Why? Because sustained conscious effort is where most people seem to misfire. Blame it on effortful control if you want. Effortful control is the ability to regulate one’s responses to external stimuli, and since we have plenty of that, with relationships, kids, smart-phones, emails, and the media, no wonder why we can’t concentrate for any length of time on some of the most important things in our lives. This approach may be new and unique, but I believe that all you need is a slight shift in your subconscious to bring you powerful, long-lasting results, and you can do this instinctually, with little or no effort. It’s much the same as the way a child learns to ride a bike: After just a few run-a-longs, solo pushes, and perhaps a spill or two, instinct takes over and the feet begin to push the pedals unconsciously—and once learned you cannot unlearn how to ride a bike. At this point, the journey down the road of life has begun and there is no turning back. The Time Factor is the blueprint that will help you chart a new way of seeing and doing things in your life immediately. It will correct the chronic delusion of the current standard clock and calendar that pervades the mind unconsciously, having you conforming to an erroneous cadence. You will see time as a mindset and that when recognized; it becomes your greatest asset of all-time. I think you’ll soon agree that its methods will be the prerequisite for all time management and motivational books on the market today, as these books are missing two ingredients (1440TIME™ and The 1440 Power System®), and we all know what happens when an ingredient has been left out of a recipe. For those who are ready, The Time Factor will take a mere spectator to a significant player—or will take a significant player to one of the best players in the greatest game of all—the Game of Life. I am extremely honored to have this new association with you. That you are reading this material now shows that you are looking for even more in your life. Readers are leaders after all. Please know that the thoughts I present here are my own, a composite of many years of experience's, drive, passion, and learning from others that have culminated in this simple but powerful message. Enjoy the book and welcome to the world of real time. I am the timekeeper, a time planner, a time coach, and a time salesman. In other words, I sell, track and give more time…because who does not want more time? The bonus is that this time is free! Well, maybe not entirely free. The cost of time is that we are each allowed only one full rotation around the Life Clock and only twenty-four hours in each one of those days. Shortly, however, we will explore exactly how we can experience a new Time Awareness System™ (TAS) that gives you more time, hence slowing down the Life clock. This book’s premise is that, by challenging our long-held assumptions about time, we can change our lives. This premise is built on the belief that we have been living in the twenty-first century in a way that is fundamentally flawed and out of sync with time as we know it today. Why do I make this statement? Because we are still using the same time system that was used by ancient civilizations, even though it has long been diverging with the world as we know it. It’s time to ask: Why are we still using an outdated chronometer modeled by early humans during the times of chariots, mummies, and allegoric gods in the twenty-first century? The now is all we have and it is all we’ve ever had. Even though we know this at a deeper level to be true, it seems so hard to stay on track in our fast-past world. Our mind is so easily distracted; there is so much to do, so much going on, and so much to hear that we lose sight of the now. We get lost and wrapped up in the clock and calendar of our existence—which becomes the now. And those series of now’s become your story (journey) or even purpose without knowing it. Life has become a chain of time limitations; a sequence of appointments, birthdays, TV shows, holidays, jobs, events, weekends, and ultimately the illusion of time passing by quickly. Time flies, as we say and hear all the time. So, what can we do? How can we slow it down, make it more fulfilling, purposeful, fun, productive, loving, enjoyable, and yes, even more money! There’s hope! 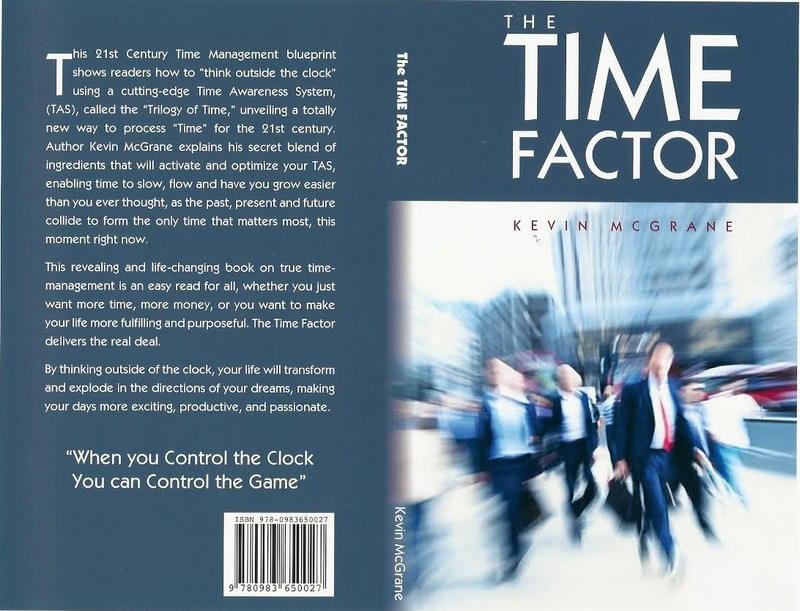 The Time Factor answers these questions and more, providing a simple but powerful insight into the world of time and money—a new found awareness that will alter your perception of the clock and cash forever.